The new service will help companies find and secure data they inadvertently expose. Cybersecurity firm UpGuard discovered a lot of unintentionally exposed data last year. Among its findings were classified US Army and NSA data, 14 million Verizon customer records, personal information of nearly 200 million US citizens, Pentagon intelligence info, personal information of 1.8 million Chicago residents and intelligence data connected to intelligence contractor Booz Allen Hamilton. The company has repeatedly found sensitive data left exposed on unprotected servers and in all, it has discovered a massive sum of over 335 million records. But finding breaches can be a rather time-consuming process, which is why so many go undiscovered by the companies meant to be protecting the exposed data. However, UpGuard announced today that it's launching a service that automates the techniques the company's team has been using to hunt down data breaches, allowing its customers to spot exposed data in real time and secure them more rapidly. "Our team is uncovering data breaches every day because of one simple fact: Organizations don't know what data they have, who has it and where it exists," Mike Baukes, co-founder and co-CEO of UpGuard, said in a statement. "BreachSight will allow customers to regain control of their private data by providing total visibility over their digital footprint." 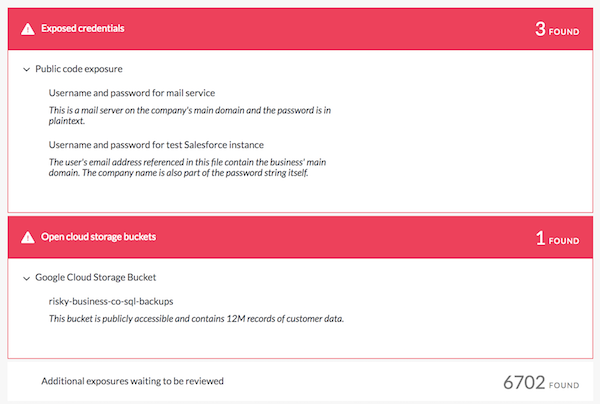 BreachSight will automatically perform searches based on relevant keywords provided by those using the service and it will scan the places that UpGuard regularly finds exposed data -- such as Amazon S3 servers. It will then inform companies when data they control is found exposed online as well as data managed by their partners, suppliers and other connected vendors. BreachSight is meant to work in a complementary way to UpGuard's CyperRisk service, which provides companies continuous risk assessments of both their own security practices and those of connected vendors.